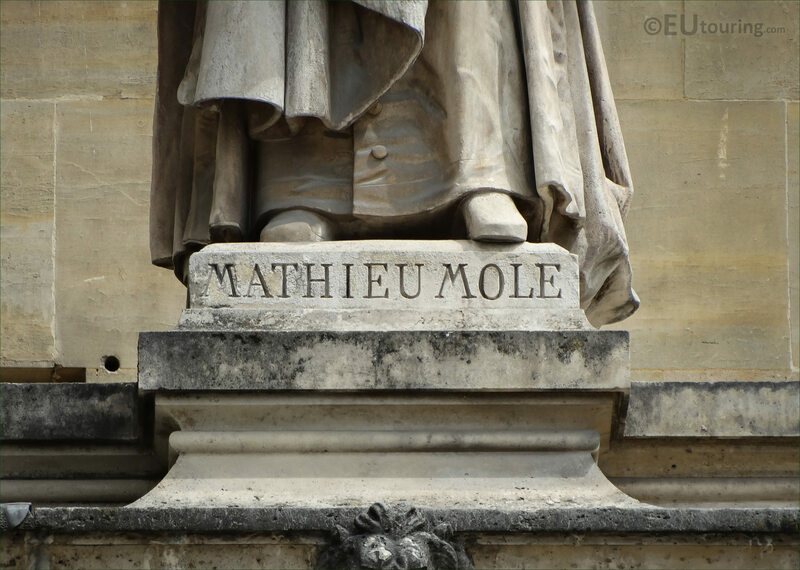 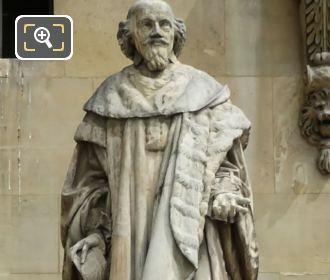 We took these high definition photos showing the statue of Mathieu Mole, which is located on the Aile Colbert facade of the Musee du Louvre in the 1st Arrondissement of Paris, and this was produced by the sculptor Nanteuil in 1857. In this first HD photo showing the statue of Mathieu Mole, you can see that this stone statue is located close to the first level windows that are part of the gallery called Aile Colbert just above the colonnades, and if you are looking at the facade of the Louvre from the Cour Napeolon, this is the first statue on this particular sequence sitting next to the Pavillon Richelieu. 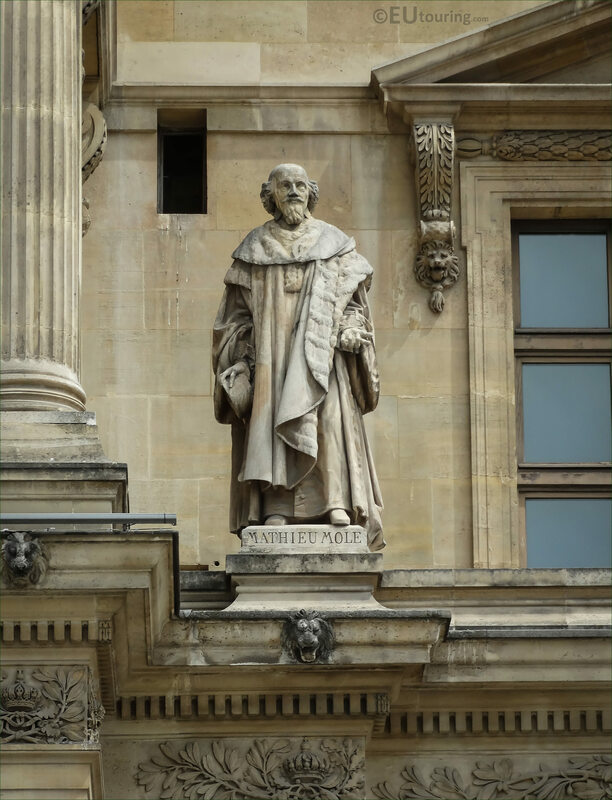 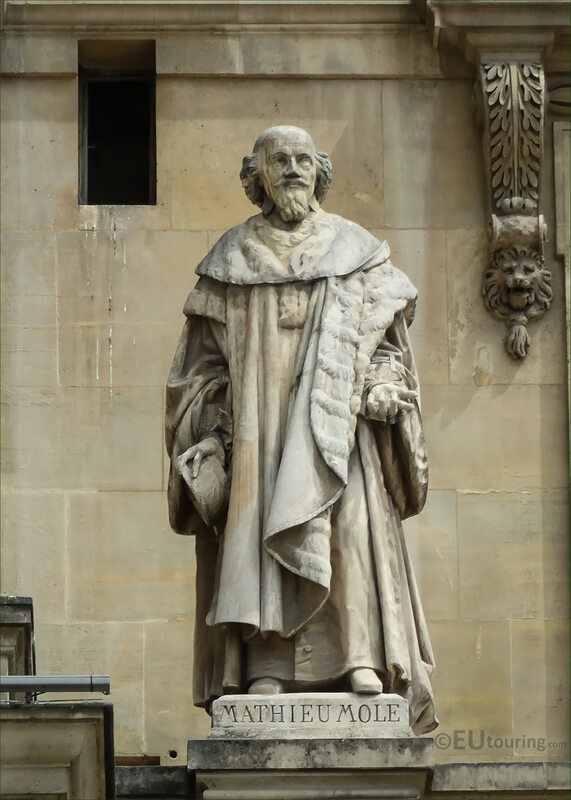 This is a slightly closer view showing the complete statue that was sculpted by the French artist Charles-Francois Lebouef, who was known as Nanteuil, and produced in 1857, the statue was designed to represent Mathieu Mole. And in this last image you can see a close up showing the name inscribed on the stone base of the statue representing Mathieu Mole, who was a French statesman born in 1584, who was instrumental in the negotiations for the Peace of Rueil, and was awarded a title of Keeper of the Seals.